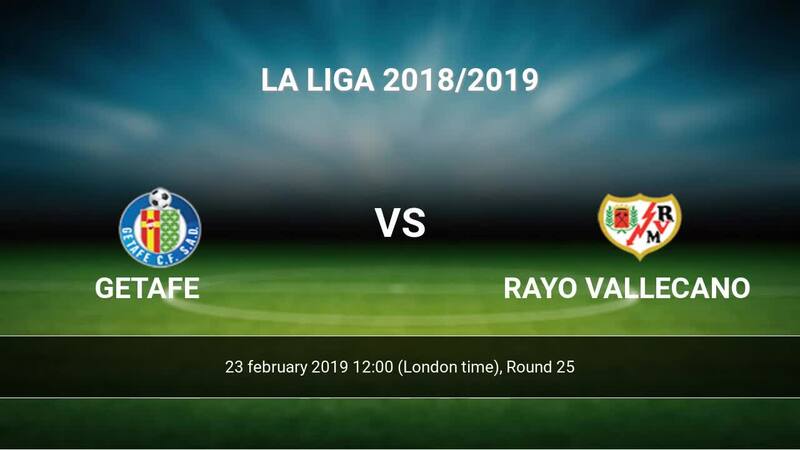 Match Getafe-Rayo Vallecano La Liga the fixture is set to kick-off today 12:00 on Coliseum Alfonso Perez. Refereee Javier Alberola. Team Getafe is at the top place in the table (5 place). In 5 last matches (league + cup) team gain 8 points. From 3 matches no lost a match. In this season games La Liga the most goals scored players: Jaime Mata 9 goals, Jorge Molina 9 goals, Angel Rodriguez 5 goals. They will have to be well guarded by defense Rayo Vallecano. Players Jaime Mata 5 assists, Jorge Molina 1 assists, Angel Rodriguez 2 assists will have to be very well guarded by defenders Rayo Vallecano, because they have the most assists. 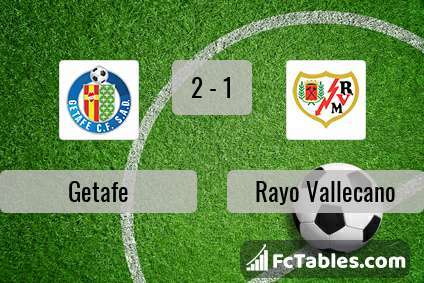 Team Rayo Vallecano is in the releagtion zone of the table. 19 position. In 5 last matches (league + cup) team gain 4 points. Rayo Vallecano from 3 matches can not beat any rival. Players Rayo Vallecano in La Liga with the highest number of goals: Raul de Tomas 9 goals, Adrian Embarba 3 goals, Alvaro Garcia 3 goals. Players , Adrian Embarba 2 assists will have to be very well guarded by defenders Getafe, because they have the most assists. Injuries in the team Rayo Vallecano: Gorka Elustondo. Direct matches: usually ended with winning of Rayo Vallecano. 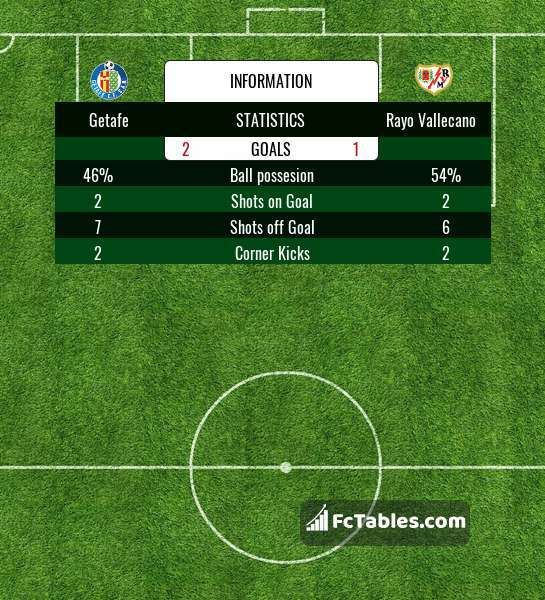 Balace of both teams games are: 7 won Getafe, 10 wins Rayo Vallecano, 2 draws. In 9 matches the sum of the goals both teams was greater than 2.5 (Over 2.5). On the other hand, 16 matches teams scored more than 1.5 goals (Over 1.5). In 11 matches the both teams have shot at least one goal.